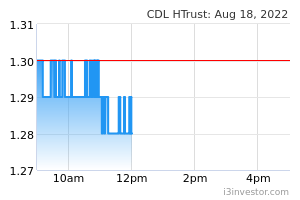 CDL Hospitality Trusts' (CDLHT) 4Q18 results were within expectations. 4Q18 revenue dropped 5.4% YoY to S$38.4m, pulled down by a lack of contribution from the two divestments in Australia and the closing of Dhevanafushi Maldives Luxury Resort (DMLR) for renovations. DMLR is currently undergoing pre-opening preparation for its relaunch as “Raffles Maldives Meradhoo” in 2Q19. 4Q18 DPU dropped 2.1% YoY to 2.77 S cents. On a full-year basis, FY18 DPU increased 0.4% YoY to 9.26 S cents or 104% of our full-year forecast. The difference with our forecast was due to S$13.0m in capital distributions made in FY18 (vs. S$5.7m in FY17), including S$7.3m made in 4Q18. This compares with our assumed amount of S$7.5m for FY18. In terms of operating metrics, CDLHT’s Singapore RevPAR increased 2.6% YoY in 4Q18 as the portfolio saw demand from Chinese and Indian leisure travelers, stable corporate demand was stable, and additional business from the ASEAN Summit. Excluding Orchard Hotel (which saw revenue loss due to renovations), CDLHT’s Singapore RevPAR increased by 4.3% YoY in 4Q18. 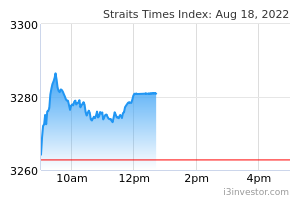 In addition, the REIT manger disclosed that CDLHT’s Singapore RevPAR increased by 5.1% YoY for the first 27 days of Jan 2019. Excluding Orchard Hotel, we estimate that this figure is around +6% YoY. The renovations of the meeting facilities and Grand Ballroom at Orchard Hotel are expected to complete in 1Q19 while the progressive refurbishment of the rooms in the hotel are expected to complete in 2Q19. Heavy disruption at Orchard Hotel is expected especially for 1Q19 due to the sound. For 2019, while we are excited on the positive SG RevPAR growth we expect to see for the fullyear (e.g. 3-5% range), we are worried on the likely drag in 1Q19 from the closure of DMLR as well as the asset enhancement initiatives at Orchard Hotel. Post-renovations, Orchard Hotel will be one of only four hotels in Singapore with a ballroom that can accommodate 1K or more guests. For the reasons mentioned earlier, we believe 1Q19 will look soft on a YoY basis and currently see an opportunity to sell into strength based on share price as at 29 Jan 2019. We maintain HOLD on CDLHT.